A couple of days ago I received such a lovely surprise when I found out that Becca from From my Lofty Hill (A.K.A Becca from Sunnybrook Farm) had nominated my blog as part of her contribution towards her own Sunshine Blogger Award post. I am delighted to have been nominated, never thinking, when I started writing, that anyone not comprising my gang of captive followers (my Mum and my husband) would ever think my blog was worth reading. So many thanks indeed to the lovely Becca for the wonderful compliment, as well as for the support and encouragement. I really appreciate it! Quite apart from having one of the best blog names that I have come across (she really does live at Sunnybrook Farm!! ), Becca’s tales of her life in Belize are both thrilling and fascinating. She is the master of dramatic build up. From snake bites and tragedies to brand new baby chicks and adorably romantic gestures her blog is certainly an adventure worth reading…who knows what will happen to her tomorrow? I can’t wait to find out! The Sunshine Blogger award is given by bloggers to bloggers who inspire positivety and creativity in the blogging community. 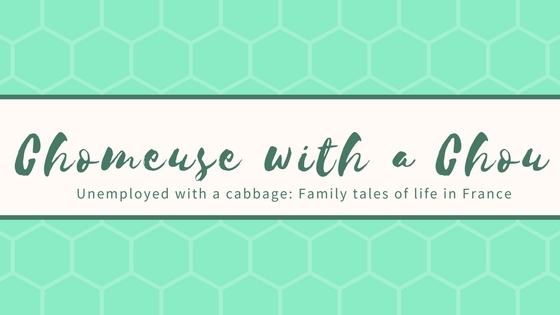 This is my second attempt at this blog – I started it initially back in 2016 in the hope of staying sane whilst my baby enjoyed his nightly midnight feasts. Soon afterwards I was given wonderful advice on how to help him to sleep through the night, so my blog ended abruptly and I began to remember what sleep felt like again. I have now restarted (as part of a new year’s resolution) now that my little boy is so grown up that he goes to morning nursery school…the house feels so lonely without him that I need company, even if it is only my own thoughts! 2. Where do you get ideas for your blog posts? My brain gets a lot of free time whilst I’m performing the non-playing aspects of stay-at-home-mumming (particularly when my little boy was even smaller) so it does its own thing and we catch up during nursery hours and after bed-time, which is usually when the ideas appear. I get a lot of inspiration (and help) from fond memories of books I used to read before I became a mother. 3. What’s the best advice anyone ever gave you? My parents always told me not to worry about exam results if I had done my best. I think that this can also apply to life generally – if you’ve done your very best then there is no point or reason in worrying about consequences – there is nothing that you can do to change them. I’m not very good at following it – one of my greatest skills is worrying. 4. If you could describe yourself in three words what would they be? I loved pigs when I was young, and wanted to be a pig farmer until someone helpfully pointed out what that entailed. My favourite zoo animal is the penguin. 6. What do you wish to accomplish in 2018? I hope to complete my share of the DIY list pinned next to the front door. I also hope not to abandon my blog a second time. My Mum and my husband both dutifully follow my blog (my Mum is also a faithful commenter and liker). Other than that I have told no-one about it – I really like the freedom that anonymity gives me to be completely myself. At the moment my favourite dish to cook would be anything terribly easy and mess-free. The dish that probably gives me the most satisfaction (after having cooking it) is řízky, the Czech (pork) equivalent of weiner schnitzel or chicken Maryland. Everytime I make it my technique improves a little, although mine will never be as good as that of my Czech mother or my Czech cousin. 9. How did you choose the title of your blog? I live in France and am the only non-bilingual member of my household – even before my son started to talk there was a fair bit of language muddling (my husband is not bilingual by choice). I wanted my blog to reflect the two languages spoken in my home. I am a stay-at-home-mum (thus technically unemployed and so a “chomeuse”) to one little boy (my little “chou”). I much prefer Summer – but can I be more specific and say a UK Summer? My two boys have such delicate Irish skin that we end up spending far longer indoors than I’d like, hiding from the cruel French midday sun. My son, having screeched that it was morning and that he was awake until I gave in and went down to his room, heard my footsteps and decided to pretend to be asleep (whilst giggling) when I opened his door. Thank you for making it this far. I can’t wait to read your answers! This made very interesting reading and I should particularly like to know the wonderful advice you were given to help your little terror to get to sleep – your father still doesn’t sleep through the night, so any hints would be greatly appreciated by him. Thank you for the compliment, but sadly I shall never be able to make rizky (I don’t know how to add the accents unless I’m in Word…) as well as my cousin. I shall just have to keep visiting her in Prague to remind myself how good they can be. The advice was from your health visitor friend. I copied and pasted the accents from Google (just typed in risky and Czech and highlighted the first Czech word with the right accents thst came up). Ooh, thank you so much, I’m truly flattered! I’ll get scribbling my answers! You know, earlier I was being such a big head I skimmed your answers – for shame! It’s nice to hear more about you, please don’t abandon your blog again, i enjoy reading it, I’m so envious of your life!! For shame, nothing! It’s only natural that you’d want to get to the part where you are mentioned 😉 don’t be envious…i only post the good parts! You have a great blog! Keep at it! Thanks for the nomination! I love the names of the other bloggers and will have to check them out! Btw. How cool is it that you live in France? Hello! I’ve answered your questions – very boringly, I’m afraid! Thank you for nominating me & for linking to a lot of new (to me) bloggers that I’ve bookmarked to read…When will I ever get any work done?! Exciting! Thanks for taking part 🙂 I hope that you have had a nice day! Thank you for this nomination – I will post my answers this week! There is nothing funnier than a toddler faking sleep! Mine fake snores! You are very welcome 🙂 Ha ha that must be hilarious! Ooh, thank you for the nomination! I will have to check out the other bloggers you’ve linked as well – later, when I’m not supposed to be working 😉 (currently on a tea break). It was very interesting to learn more about you. Please don’t abandon your blog again – I love reading it! I’ll certainly try not to. I really appreciate all the support and encouragement you give – it certainly helps my motivation 🙂 Hope you had a good tea break. I look forward to reading your answers if you find the time.